WP-Postviews is a WordPress plugin that tracks and displays the number of times each article has been viewed. This is a default feature in Joomla, but not in WordPress. This add-on imports the views from Joomla to WordPress using the WP-Postviews format. 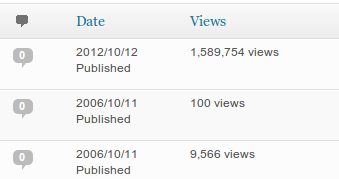 To track and display the post views in WordPress, you also need the WP-Postviews plugin by GamerZ.